The children in the school are busy rehearsing for their performance at the Christmas Lights ceremony in the village, on Saturday next at 6:30pm. We were delighted to be invited to sing at the ceremony which will see the Christmas lights switched on in our village. 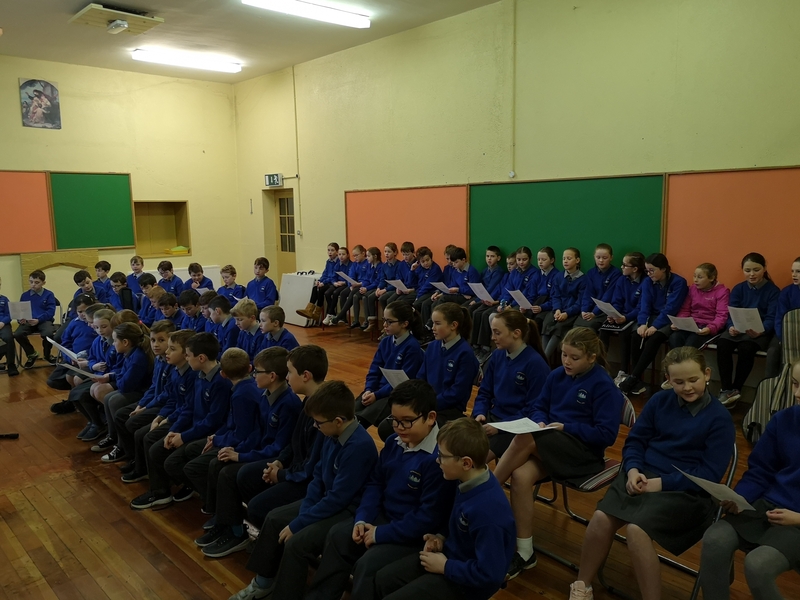 Thanks to Ms Quinn and Mr Ryan for their work in preparing the children, and to Mick Collins for accompanying the children on Saturday evening. The organising committee wish to extend an invitation to the event to everyone. It promises to be a fun evening for the whole family.